I’ve been postponing writing a new blog for so long. On one hand, life tends to get in the way. On the other, I wasn’t quite sure what to blog about. But the other way, while grocery shopping (I know, nothing fancy, but we have to do it, want it or not), I discovered that ShopRite had breadfruits. (Imagine that! Who knew?) And so, I bought one. 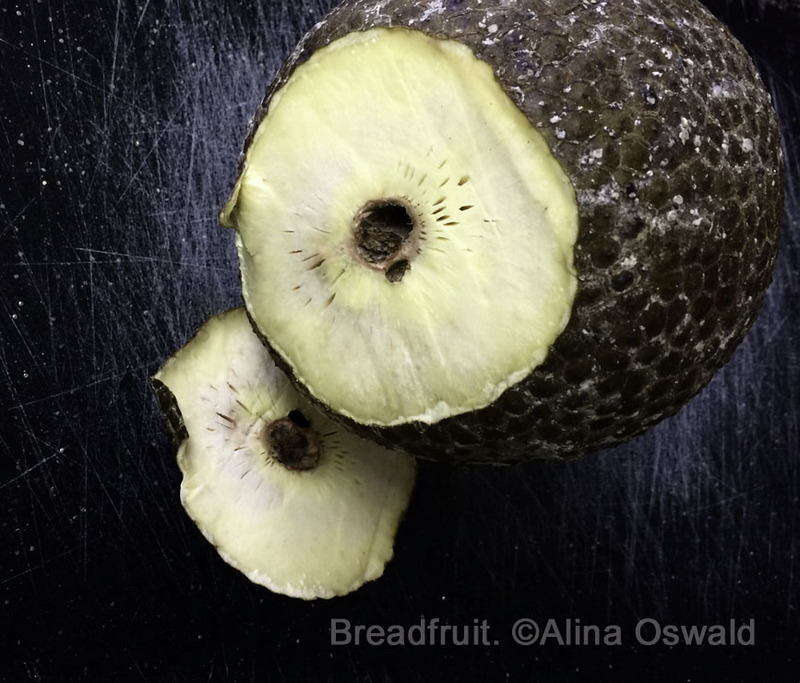 These fruits brought my attention because several (too many) years ago, I got to see the breadfruit in the breadfruit tree, while touring the Allerton Gardens, which are part of the National Tropical Botanical Garden in Hawaii. 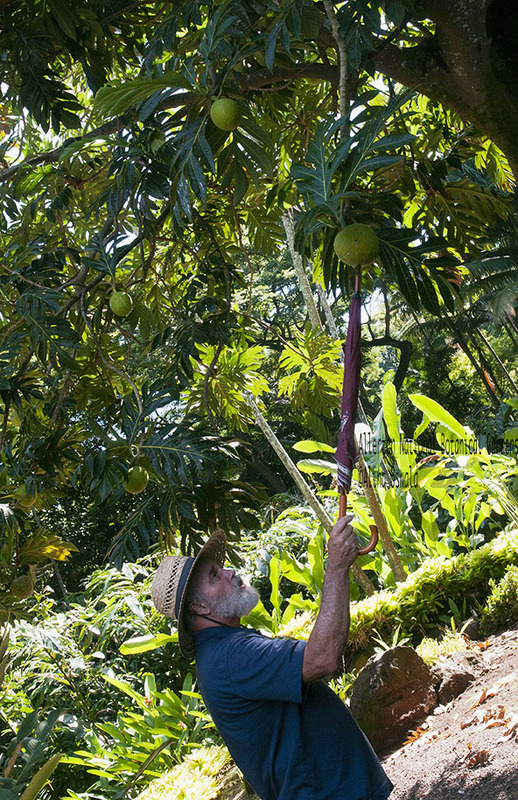 Our guide pointed his cane at the breadfruit, telling the story of this amazing fruit. As the story goes, (ancestors of) the Polynesians, had been at sea for a very extended period of time. Tired and famished, they finally came to see land–what we, today, know as the islands of Hawaii. These amazing islands also offered food, and good, nutritious food at that. 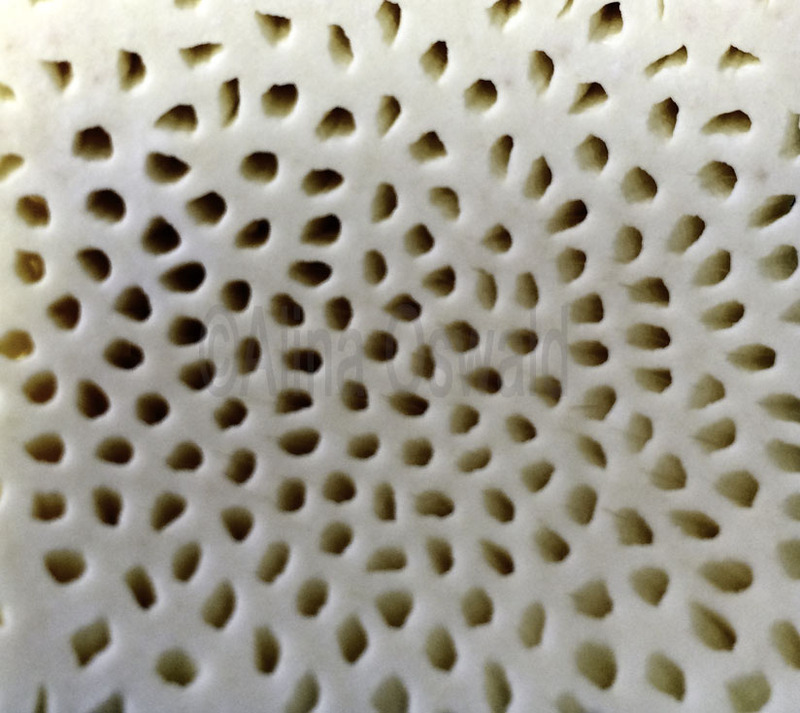 It was on the Hawaii islands that these sailors found the breadfruit, which is extremely nutritious, and which can be cooked and prepared in many ways. Hence, the breadfruit kept them from starving to death. Guide by the breadfruit tree. National Tropical Botanical Garden–Allerton Garden. Photo by Alina Oswald. 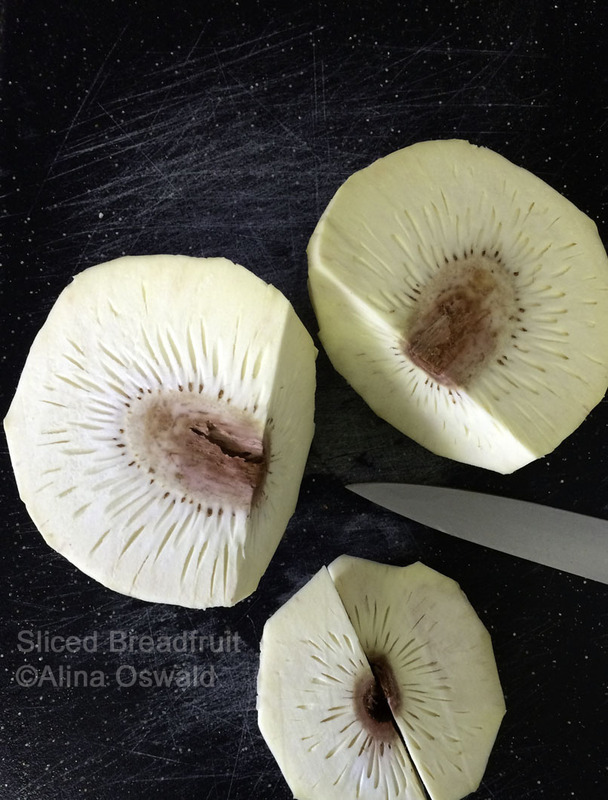 At home, yesterday, I tried the breadfruit–raw and cooked. It has the consistency of a sponge, and a taste similar to that of a potato. And it’s very filling. As for preparation and recipes, I think the sky is the limit. Just be creative and bring out the artist in you. There are salad recipes, humus, and many others. 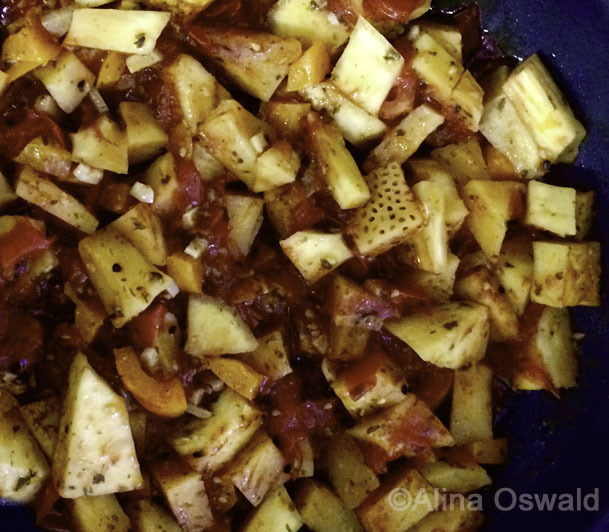 I opted to cook it in the pan, together with tomatoes and garlic…and others. And I think it tastes pretty good, too. Sliced breadfruit. Photo by Alina Oswald. Yes, this recipe is quite trial-and-error, but it came out pretty good, especially for first-timer like myself. Thanks for stopping by! And especially if you decide to prepare breadfruit, I’d love to hear from you. Happy breadfruit cooking, and Happy Hawaii! cooking breadfruit. photo by Alina Oswald.